This beautiful manor house in Wordsley which dates back more than 200 years will be transformed into a new pub. Lawnswood House has been bought by pub company Brunning and Price which is behind the major restoration plans. It will see the home, once owned by the Marsh family, off the A449, renamed as The Roe Deer. The parkland estate is just north of Stourton and stands in stunning grounds. Officials said in a statement: "The house is indeed grand, but in much need of repair and restoration, the last of which seemed to have taken place long ago in 1924. "It lends itself wonderfully to being a pub, so that many can share it." The house was commissioned by the Foley family and built between 1813 and 1816 during the reign of King George III. It was built in the Regency style with corniced high ceilings and rooms flooded with light from the tall casement windows. Edward Foley made a vast fortune as an iron manufacturer in the mid-17th Century and lived there with his family until 1851 when a Colonel Fletcher took up residence. It then passed through several other families, including famous car manufacturer Jack Bean in 1924, until most recently becoming the home of the Marsh family, of meat business Marsh and Baxter, for the last 50 years. Now the property is in much need of repair and restoration. The plan is to open around late May as The Roe Deer. Brunning and Price said it usually likes to use the name of the building for its new name. But in this case there is another Lawnswood pub close by in Lawnswood Road, Wordsley. The pub company chose instead to re-christen the building in honour of the family of roe deer that often graze within the walled garden. 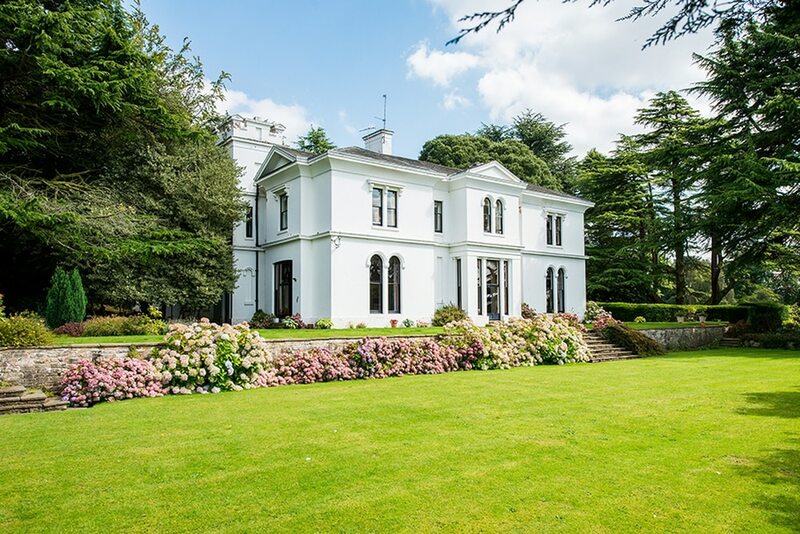 Lawnswood House and its 181-acres estate had a price tag of £3.5 million when it was on the market in 2015. Nearer to May Brunning and Price, based in Cheshire, will be recruiting staff to work in the bar and in waiting, kitchen and maintenance roles. The 30-year-old company specialises in restoring old buildings as pubs and restaurants and has an estate of nearly 70 including the Inn at Shipley, near Wolverhampton; The Oakley Arms, Brewood; Combermere Arms in Wolverhampton and a number of pubs across Shropshire.